Very easy to become overwhelmed. Numerous "get rich quick" classes and training platforms to choose from that may not reap real actionable results. We believe in providing training and coaching for real life small business situations. Our goal is to administer Do-It-Yourself (DIY) training formats that enable you to be sufficient in operating your business. Get Instant Motivation from the Owners of nDemand Consulting! What’s at your core? What defines you? Is your spouse/partner apart of helping you chase your dreams, passions, and goals? The topics included in this book address head on – how to get around losing a job, to real-life accounts of almost losing everything. This book will drive you to find that burning desire to be better; do more; all while getting closer to your spouse/partner along the way. Think back to when you were ten years old; think back to when you believed you could be anything you could think of, dream of and/or imagine. Whether you were a doctor, a policeman, or super-hero, do you remember how fearless you were? At ten years old you did what you loved, and believed that you could be anything you set your mind to. So why don’t we, as adults, have that same fearless spirit now? Today, too many of us allow doubts, fears, and excuses to control our life; we self-sabotage our dreams, passions, and goals. What would you do if you could get back those dreams, passions, and goals you gave up on 5 – 10 – 15 years ago? What would you do with the opportunity to reawaken the dreams that you’ve been putting on hold, because the timing just wasn’t right? If you had the chance to ignite new dreams, would you take it? In this book, you will find honest discussions, reflections, and tools that address the burning questions that you have deep inside. If you’re dissatisfied with your life, your job, your career, this is the book for you. If you wake up each morning yearning for something more, this book is for you. This book will give you advice on how to get past yourself, and make your dreams, passions, and goals a reality. 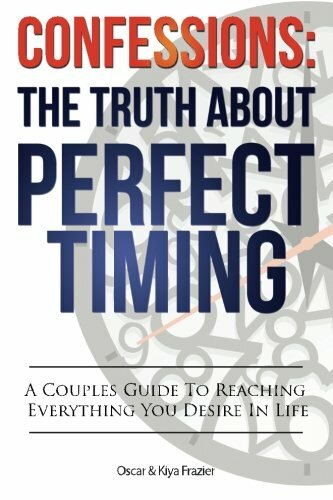 Written from a married couples perspective, this book has a dual purpose to inspire the individual, as well as, inspire spouses/couples to support each other in their dreams and aspirations. There is no reference to sexual orientation in this book, as the dominant and supportive role in a relationship can shift between partners as various goals are pursued. It is our hopes that you will find your inner fire in these pages; the fire you need to make your dreams come true.